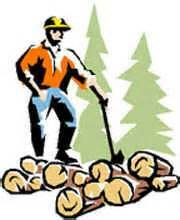 Galeton Rotary Woodsmen Show is a three-day (August 4, 5, & 6) event held annually at Cherry Springs State Park located 6 miles from Galeton, PA. The show celebrates the history of logging with on-site master carving, the Great Lakes Timber show, lumber jack competition, horse pull competition, ax throwing, spring board cutting and a host of other demonstrations and activities. Food as well as gift vendors are plentiful! Live entertainment as well as children's activities are also presented. Admission charged. Rotary is a non-partisan, non-sectarian organization open to business and professional leaders aged 18 and above with no regard to economic status. Its motto is "Service Above Self." The Galeton Rotary meets each Thursday at 6:30 p.m. at the Permastone Restaurant on Route 6 just East of Galeton.